Good afternoon and Happy Thursday, I'm back as you can see however, not quick enough like I promised for January. As you can see from the title of the post, I got pregnant :) therefore I had the worst morning sickness literally as soon as I found out and EVERYTHING was on hold as survival mode kicked in. We found out I was pregnant just before my birthday which is Christmas day, it was a lovely surprise even though it was still planned, it honestly feels crazy to be pregnant with baby no2 as it feels like yesterday I was pregnant with Esra. 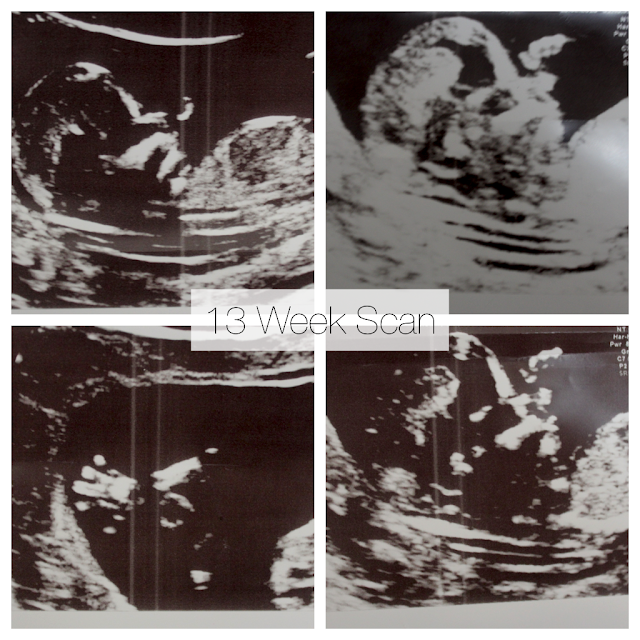 Baby's due date is 16th of August 2016. Esra is 4 but will be almost 5 when baby arrives, I think it's a nice age gap, I could no way have dealt with 2 toddlers and am glad we waited a little longer. I had the worst nausea which lasted 24 hours of the day, I was vomiting and not eating much and to top it off I got a cold in Decemeber followed by the worst Flu in the beginning of February. My nausea is almost gone now that I'm in the 2nd trimester but it does make an appearance now and then particularly in the evenings. However, I am feeling SO much better and feel back to my normal self, i can eat and enjoy my food and I am not sleeping as much as I did in the 1st trimester as I feel like my energy is coming back as the placenta kicks in. Here's baby bump at 15 weeks and 2 days, I'm smaller than I expected to be at this stage but I was quite tiny with Esra too and didn't start showing properly until much later. I did however expect to be massive at this stage as it's the 2nd pregnancy, but I'm sure I will eat my words and be huge towards the end lol. My hair has been quite dry and I have been enjoying using the Organix 'Argan oil of Morocco' range, I LOVE the serum on damp hair which definitely adds moisture to my locks. The shampoo and conditioner is great too however I want to try the 'Coconut Milk' range next. With regards to my growing belly and breast area I have been using the Melvita 'Extraordinary oil' and a mixture of the Neals Yard 'Mothers Balm'. The Melvita oil absorbs instantly as it has a silky fine texture and is a "dry" oil which is great when you don't want to transfer oil to your clothes. However my absolute favourite for my belly is the 'Mothers Balm'. I used 3 tubs of these for my pregnancy with Esra, I always apply this at night and sometimes in the morning. I got absolutely no stretch marks on my belly and I'm hoping that I don't get any this time round too. It's not a big deal if I do, but anything to prevent it. The 'Mothers Balm' has a really thick balmy texture and is quite greasy when applied, it does absorb but it still leaves a film on the skin which I love as it's really soothing and feels moisturised at all times. 10/10 from me!! Esra thinks baby is a boy and is really happy to be a big sister. We had to tell her right away as she kept jumping on me and asking me to pick her up and swing her around, so we had to tell her and she has handled it really well. She just wants to shop for baby too, she keeps picking up baby clothes and asking if we can buy them. She is SO excited and asks everyday if baby is coming out today. I am kind of in nesting mode already, obviously baby will sleep in our room with a moses basket for a while and then move into Esra's room. I'm trying to think of how I can make space for the both of them as Esra's room is quite small, but I can do it especially with my decluttering approach. It will be a challenge and I can't wait to see what we end up with. I haven't done any shopping for baby yet and don't really plan to until after the gender scan, but I'm sure I will be back to making some crochet goodies for baby in no time. I do however plan to be as minimalistic with this baby as much as possible. I feel much more ready and know what is really needed and what isn't. Wish me luck! Congratulations!! I remember following your blog all those years ago when Esra was tiny, wishing for a tiny one of my own. Well, after years of heartache, I too am pregnant - 18 weeks today. I will be following your blog, as ever, with joy. And thanks for the recommendation for the Neal's Yard balm, I've been thinking about it and now I will definitely try it once my MammaMio tummy oil has run out (which is also fabulous by the way, keeps the bump and breats so hydrated, but you have to wait a bit before getting dressed so it's not for those rushing mornings and more for evening time). Anyhow, again, much congratulations!! I am looking forward your posts about minimalistic approach as it's something I am learning now. Our home isn't spacious so I want to keep it as much de-cluttered as possible.